South firs grade students Kids clean out pumpkin. 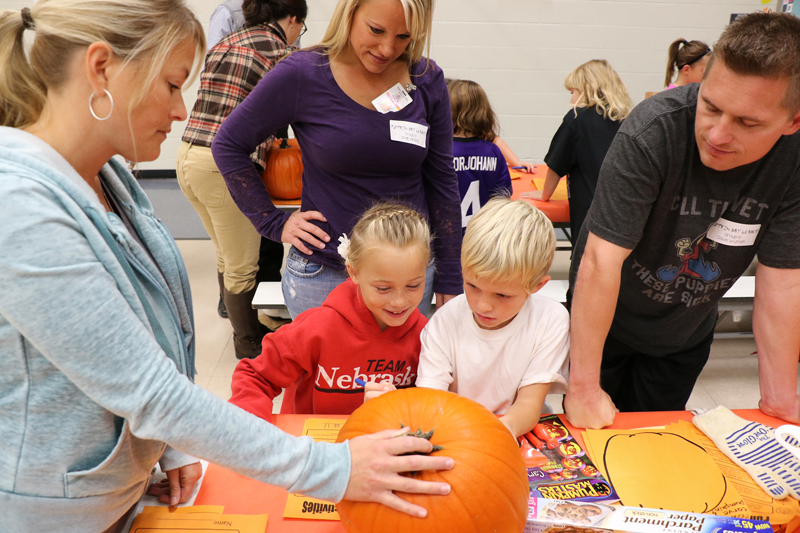 With the help of parent volunteers, first grade students at South School, and second grade students at North School applied math and science skills in measuring and weighing their pumpkins and counting the seeds. They also measured ingredients and followed directions in mixing pumpkin muffins. North second grade students draw a face on their pumpkin that will be carved int a jackolantern. North second graders are busy counting pumpkin seeds in groups of ten. North second grade students mix up a batch of pumpkin muffins. Nicki Wendt, Beckett Trimpe,and Ian Collins count seeds in groups of ten. South students check to see how much their pumpkin weighs. 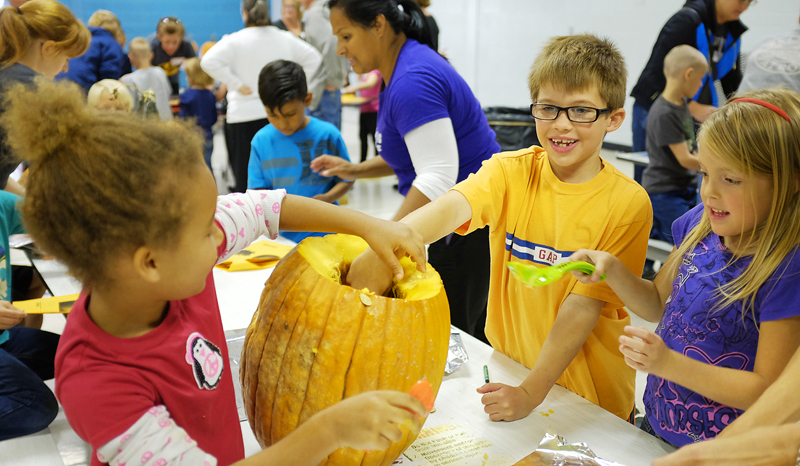 South first grade students find out that their pumpkin floats. South students measure the diameter of the pumpkin. South first graders separate the seeds from the pulp and get ready to count.